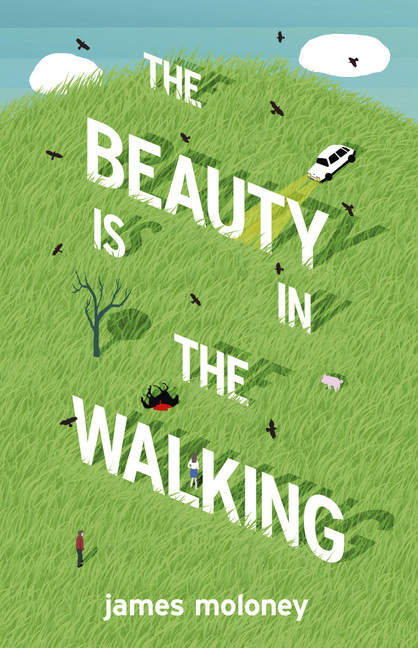 Review of James Moloney’s The Beauty is in the Walking by guest reviewer Ella Sharpe, bookseller at The Younger Sun Children’s Bookshop in Melbourne. Set in the Queensland countryside, this new Australian novel is perfect for lovers of Wonder and The Curious Incident of the Dog in the Night-Time. Jacob O’Leary is in his last year of high school and nobody expects much of him – not even his mother, who has lined up a job for him at the local grocery store when high school is over. When an unknown perpetrator, nicknamed ‘The Ripper’, leaves a string of dead farm animals in their wake all fingers are pointing to newcomer, Mahmoud Rais. Jacob is convinced of Mahmoud’s innocence and angry at the town’s persecution and lack of evidence. Jacob sets out to prove Mahmoud’s innocence and in doing so achieves things no one, not even himself, thought he was capable of. This is a wonderfully written, distinctly Australian book that will have you guessing till the final page. Jacob is a wonderful protagonist; his desire to prove himself despite his limitations is inspiring and uplifting. You will celebrate his achievements, cry at his failures and become vehemently protective of him. This is a great read for anyone who loves a bit of mystery and an underdog rising to the challenge.